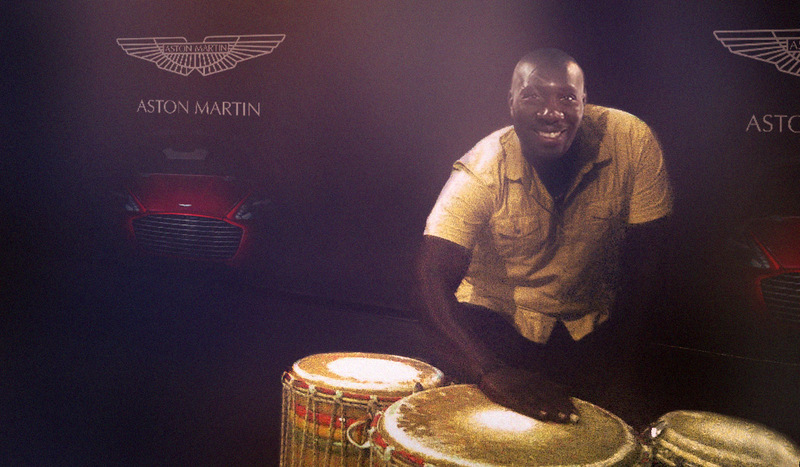 You’re in good hands with Drum Conversation! 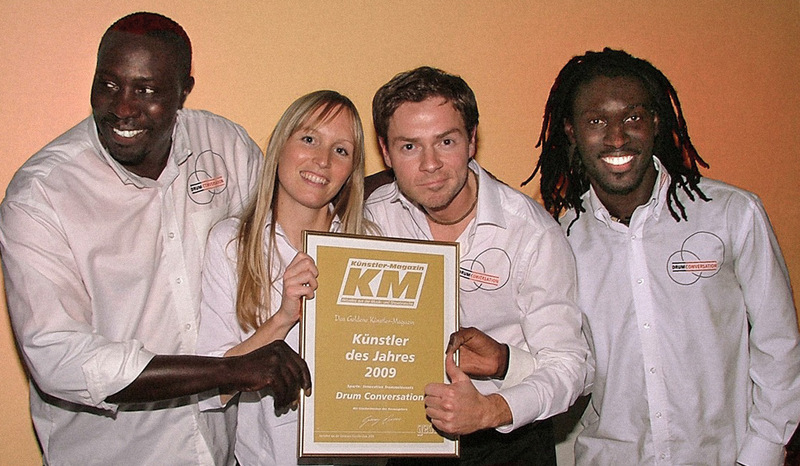 Formed in May 2004, Drum Conversation is Germany’s very first interactive drum-event organiser. We have gained extensive stage experience as supporting act for Simply Red, on TV TOTAL and at the BundesVisionSongContest, with Herbert Grönemeyer, Phil Collins and many others. 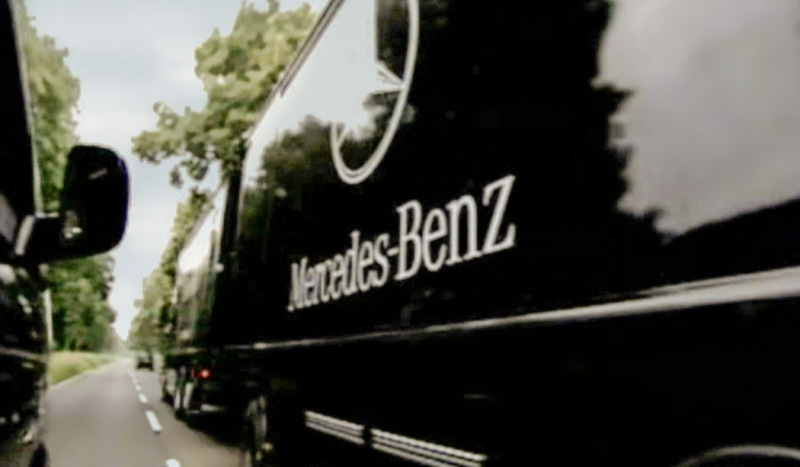 In 2007, Drum Conversation developed a special drum seminar for Daimler AG, realised within the framework of a national road show, during which over 50,000 Mercedes-Benz employees were instructed in the art of percussion (teamdrumming). 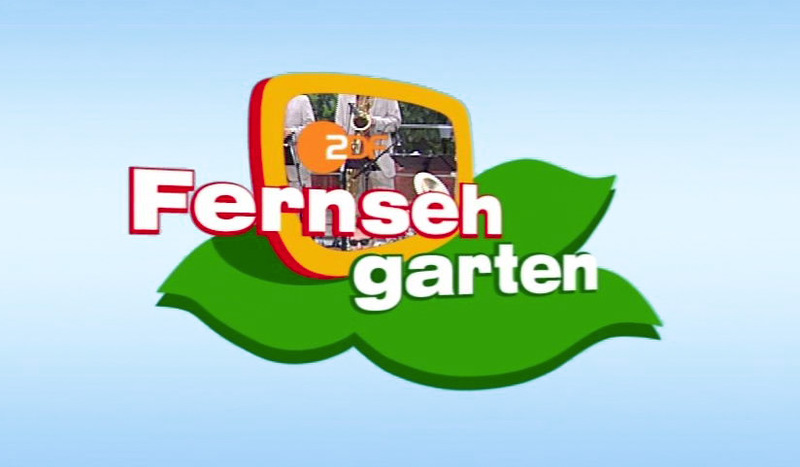 In 2008, we collaborated successfully with ZDF, one of Germany’s leading public broadcasting companies, bringing over 800 drummers together, live on stage. In 2012, we were asked to travel to Qatar to help present James Bond’s new speedster, the Aston Martin Vanquish. We’ve also twice been awarded the German show prize, “Artists of the Year”, in 2009 and 2015. Previous winners of this award include, amongst others, David Copperfield and Siegfried & Roy. Wacker Chemie • WAGO Kontakttechnik GmbH & Co. KG • WAREMA Renkhoff SE • Weber Hydraulik • W. Spitzner Arzneimittelfabrik GmbH • WERTGARANTIE AG • WERTGARANTIE Technische Versicherung AG • Westland Gummiwerke GmbH & Co. KG • Wiesenhof Geflügel- Kontor GmbH • Wincanton • Windmöller & Hölscher • Wirtgen Group • WISAG Garten- und Landschaftspflege Hessen GmbH & Co. KG • Wolff & Müller • Wrigley GmbH • WTS Steuerberatungsgesellschaft • WuV Werbe- und Vertriebsgesellschaft Deutscher Apotheker mbH • WVAO Wissenschaftliche Vereinigung für Augenoptik und Optometrie e.V.